My research interests are linked to professional development in clinical psychology and practical issues. My scientific work covers a wide range of activities in the fields of depression (vulnerability, cognitive processes, neuropsychology and personality), prevention, early intervention, low-threshold care, self-help and treatment. I employ both quantitative and qualitative research methods. My main interests are a) depression and vulnerability, b) clinical psychology of infants and young children, c) relationship trauma, d) psychosomatic conditions/medically unexplained physical symptoms (MUPS), e) clinical health psychology, f) treatment research, early intervention and indicated prevention, g) visual methods in research and treatment; (h) learning and mastery groups; and (i) user involvement and interaction. Director of Psykhjelpen (Mental Health Help) for young children, older children and adolescents/Tvibit, which is a mental health counselling service in collaboration with Tromsø City Council Preventative Health Services. Teacher and supervisor of all subjects in clinical psychology and practice. Most teaching is in the fourth and fifth year of the Professional Studies in Psychology. Supervisor of PhD research fellows, dissertations and students in clinical practice in Psykhjelpen. Clinical specialities include depression, infant psychology, cognitive therapy, neuropsychology and investigation. Høifødt, Ragnhild Sørensen; Nordahl, Dag; Pfuhl, Gerit; Landsem, Inger Pauline; Thimm, Jens; Ilstad, Linn Kathrin K.; Wang, Catharina Elisabeth Arfwedson. Protocol for the Northern babies longitudinal study: predicting postpartum depression and improving parent–infant interaction with The Newborn Behavioral Observation. BMJ Open 2017; Volume 7 (9). ISSN 2044-6055. doi: 10.1136/bmjopen-2017-016005. Maack, Jana Kristin; Bohne, Agnes; Nordahl, Dag; Livsdatter, Lina; Lindahl, Åsne; Øvervoll, Morten; Wang, Catharina Elisabeth Arfwedson; Pfuhl, Gerit. The Tromso Infant Faces Database (TIF): development, validation and application to assess parenting experience on clarity and intensity ratings. Frontiers in Psychology 2017; Volume 8. ISSN 1664-1078. pp. 1-13. doi: 10.3389/fpsyg.2017.00409. Lorem, Geir F; Schirmer, Henrik; Wang, Catharina Elisabeth Arfwedson; Emaus, Nina. Ageing and mental health: Changes in self-reported health due to physical illness and mental health status with consecutive cross-sectional analyses. (full text) (review) BMJ Open 2017; Volume 7:e013629 (1). ISSN 2044-6055. pp. 1-9. doi: 10.1136/bmjopen-2016-013629. Nordby, Kent; Wang, Catharina Elisabeth Arfwedson; Dahl, Tove Irene; Svartdal, Frode. Intervention to reduce procrastination in first-year students: Preliminary results from a Norwegian study. Scandinavian Psychologist 2016 (3). ISSN 1894-5570. pp. 15- . doi: 10.15714/scandpsychol.3.e10. Johansen, Siv Grethe; Wang, Catharina Elisabeth Arfwedson; Binder, Per-Einar. Facilitating change in a client's dysfunctional behavioural pattern with horse-aided psychotherapy. A case study. (data) Counselling and Psychotherapy Research 2016; Volume 16 (3). ISSN 1473-3145. pp. 222-231. doi: 10.1002/capr.12078. Solem, Stian; Hagen, Roger; Wang, Catharina Elisabeth Arfwedson; Hjemdal, Odin; Waterloo, Knut; Eisemann, Martin; Halvorsen, Marianne. Metacognitions and mindful attention awareness in depression: a comparison of currently depressed, previously depressed and never depressed individuals. Clinical Psychology and Psychotherapy 2015; Volume 24 (1). ISSN 1063-3995. pp. 94-102. doi: 10.1002/cpp.1983. Kristensen, Kristin Valen; Dalseth, Anette Karlsen; Moldestad, Line; Wallan, Solveig; Lorem, Geir F; Jentoft, Greta; Wang, Catharina Elisabeth Arfwedson. Blues Mothers: et gruppebasert mestringstilbud ved fødselsdepresjon [Blues Mothers: Group-Based Mastery for Postpartum Depression]. (full text) Tidsskrift for Norsk Psykologforening 2015; Volume 52 (5). ISSN 0332-6470. pp. 405-412. Lorem, Geir F; Frafjord, Jartrud Sofie; Steffensen, Marie; Wang, Catharina E. Medication and participation: A qualitative study of patient experiences with antipsychotic drugs. (full text) Nursing Ethics 2014; Volume 21 (3). ISSN 0969-7330. pp. 347-358. doi: 10.1177/0969733013498528. Johansen, Siv Grethe; Wang, Catharina Elisabeth Arfwedson; Binder, Per-Einar; Malt, Ulrik Fredrik. Equine-facilitated body and emotion-oriented psychotherapy designed for adolescents and adults not responding to mainstream treatment: A structured program. Journal of Psychotherapy Integration 2014; Volume 24 (4). ISSN 1053-0479. pp. 323-335. doi: 10.1037/a0038139. Halvorsen, Marianne; Hagen, Roger; Hjemdal, Odin; Eriksen, Marianne Skogstad; Sørli, Åse Johanne; Waterloo, Knut; Eisemann, Martin; Wang, Catharina E. Metacognitions and Thought Control Strategies in Unipolar Major Depression: A Comparison of Currently Depressed, Previously Depressed, and Never-Depressed Individuals. Cognitive Therapy and Research 2014; Volume 39. ISSN 0147-5916. pp. 31-40. doi: 10.1007/s10608-014-9638-4. Lorem, Geir F; Steffensen, Marie; Frafjord, Jartrud Sofie; Wang, Catharina E. Omsorg under tvang. En narrativ studie av pasienters fortellinger om psykisk helsevern [Compulsory Care: A Narrative Study of Patient Stories of Coercion and Mental Health Care]. Tidsskrift for psykisk helsearbeid 2014; Volume 11 (2). ISSN 1503-6707. pp. 114-124. Kjærgaard, Marie; Wang, Catharina E.; Waterloo, Knut; Jorde, Rolf. A study of the psychometric properties of the Beck Depression Inventory-II, the Montgomery and Åsberg Depression Rating Scale, and the Hospital Anxiety and Depression Scale in a sample from a healthy population. Scandinavian Journal of Psychology 2014; Volume 55 (1). ISSN 0036-5564. pp. 83-89. doi: 10.1111/sjop.12090. Holte, Arne; Barry, Margaret M.; Bekkhus, Mona; Borge, Anne Inger Helmen; Bowes, Lucy; Casas, Ferran; Friborg, Oddgeir; Grinde, Bjørn; Headey, Bruce; Jozefiak, Thomas; Lekhal, Rabit; Marks, Nic; Muffels, Ruud; Nes, Ragnhild Bang; Røysamb, Espen; Thimm, Jens; Torgersen, Svenn; Trommsdorff, Gisela; Veenhoven, Ruut; Vittersø, Joar; Waaktaar, Trine; Wagner, Gert G.; Wang, Catharina E.; Wold, Bente; Zachrisson, Henrik Daae. Psychology of Child Well-Being. (data) Springer 2014 ISBN 978-90-481-9062-1. 555-631. doi: 10.1007/978-90-481-9063-8_13. Lintvedt, Ove K; Griffiths, Kathleen; Sørensen, Kristian; Østvik, Andreas Raae; Wang, Catharina E.; Eisemann, Martin; Waterloo, Knut. Evaluating the effectiveness and efficacy of unguided internet-based self-help intervention for the prevention of depression: a randomized controlled trial. Clinical Psychology and Psychotherapy 2013; Volume 20 (1). ISSN 1063-3995. pp. 10-27. doi: 10.1002/cpp.770. Thimm, Jens; Holte, Arne; Brennen, Tim; Wang, Catharina E. Hope and expectancies for future events in depression. (full text) Frontiers in Psychology 2013; Volume 4. ISSN 1664-1078. doi: 10.3389/fpsyg.2013.00470. Skre, Ingunn; Friborg, Oddgeir; Breivik, Camilla; Johnsen, Lars Inge; Arnesen, Yngvild; Wang, Catharina E. A school intervention for mental health literacy in adolescents: effects of a non-randomized cluster controlled trial. (full text) BMC Public Health 2013; Volume 13:873. ISSN 1471-2458. doi: 10.1186/1471-2458-13-873. Laeng, Bruno; Sæther, Line; Holmlund, Terje; Wang, Catharina E.; Waterloo, Knut; Eisemann, Martin; Halvorsen, Marianne. Invisible emotional expressions influence social judgments and pupillary responses of both depressed and non-depressed individuals. Frontiers in Psychology 2013; Volume 4. ISSN 1664-1078. pp. 1-7. doi: 10.3389/fpsyg.2013.00291. Hartmann, Ellen Johanne; Halvorsen, Marianne; Wang, Catharina E. Rorschach Variables and Dysfunctional Attitudes as Measures of Depressive Vulnerability: A 9-Year Follow-Up Study of Individuals With Different Histories of Major Depressive Episodes. Journal of Personality Assessment 2013; Volume 95 (1). ISSN 0022-3891. pp. 26-37. doi: 10.1080/00223891.2012.713881. Wang, Catharina E.; Hope, Siren; Wright, Reni Jasinski; Waage, Trond. Ungdomsblikk: Selvrefleksivt filmkurs som terapeutisk metode [A Youth View: A Self-Reflexive Film Course as a Therapeutic Method]. Tidsskrift for Norsk Psykologforening 2012; Volume 49 (9). ISSN 0332-6470. pp. 861-869. Halvorsen, Marianne; Høifødt, Ragnhild Sørensen; Myrbakk, Ingvild Nordnes; Wang, Catharina E.; Sundet, Kjetil Søren; Eisemann, Martin; Waterloo, Knut. Cognitive function in unipolar major depression: A comparison of currently depressed, previously depressed, and never depressed individuals. Journal of Clinical and Experimental Neuropsychology 2012; Volume 34 (7). ISSN 1380-3395. pp. 782-790. doi: 10.1080/13803395.2012.683853. Nordahl, Hans Morten; Martinsen, Egil Wilhelm; Wang, Catharina E. Psykologiske behandlingsformer for depresjon med vekt på individualiserte tilnærminger [Psychological Therapies for Depression with an Emphasis on Individualized Approaches]. (full text) Tidsskrift for Norsk Psykologforening 2012; Volume 49 (1). ISSN 0332-6470. pp. 40-48. Wang, Catharina E. Et evolusjonsperspektiv på depresjon: samfunnspolitiske og psykologfaglige utfordringer [An Evolutionary Perspective on Depression: Challenges in Sociopolitics and the Psychology Profession]. (full text) Tidsskrift for Norsk Psykologforening 2012; Volume 49 (1). ISSN 0332-6470. pp. 5-13. Halvorsen, Marianne; Waterloo, Knut; Sundet, Kjetil Søren; Eisemann, Martin; Wang, Catharina E. Verbal learning and memory in depression: A 9-year follow-up study. Psychiatry Research 2011; Volume 188 (3). ISSN 0165-1781. pp. 350-354. doi: 10.1016/j.psychres.2011.02.022. Dørmænen, Annbjørg; Heimdal, Marte Rye; Wang, Catharina E.; Grimsgaard, Sameline. Depression in postmenopause: a study on a subsample of the Acupuncture on Hot Flushes Among Menopausal Women (ACUFLASH) study. Menopause 2011; Volume 18 (5). ISSN 1072-3714. pp. 525-530. doi: 10.1097/gme.0b013e3181f9f89f. Halvorsen, Marianne; Wang, Catharina E.; Eisemann, Martin; Waterloo, Knut. Dysfunctional Attitudes and Early Maladaptive Schemas as Predictors of Depression: A 9-Year Follow-Up Study. Cognitive Therapy and Research 2010; Volume 34 (4). ISSN 0147-5916. pp. 368-379. doi: 10.1007/s10608-009-9259-5. Heimdal, Marte Rye; Dørmænen, Annbjørg; Wang, Catharina E.; Grimsgaard, Sameline. A Comparison of the WHQ and the BDI-II in a Sample of Postmenopausal Women. (full text) Patient Reported Outcomes Newsletter 2010 (43). pp. 13-15. Wang, Catharina E.; Halvorsen, Marianne; Eisemann, Martin; Waterloo, Knut. Stability of dysfunctional attitudes and early maladaptive schemas: A 9-year follow-up study of clinically depressed subjects. Journal of Behavior Therapy and Experimental Psychiatry 2010; Volume 41 (4). ISSN 0005-7916. pp. 389-396. doi: 10.1016/j.jbtep.2010.04.002. Andersson, Helle Wessel; Bjørngaard, Johan Håkon; Kaspersen, Silje; Wang, Catharina E.; Skre, Ingunn; Dahl, Thomas. The effects of individual factors and school environment on mental health and prejudiced attitudes among Norwegian adolescents. (full text) Social Psychiatry and Psychiatric Epidemiology 2010; Volume 45 (5). ISSN 0933-7954. pp. 569-577. doi: 10.1007/s00127-009-0099-0. Lintvedt, Ove K; Sørensen, Kristian; Østvik, Andreas Raae; Verplanken, Bas; Wang, Catharina E. The Need for Web-Based Cognitive Behavior Therapy Among University Students. Routledge 2009 ISBN 9780415548885. pp. 239-. Bjørkum, Torunn; Wang, Catharina E.; Waterloo, Knut. Pasienterfaringer med ulike tiltak ved kronisk utmattelsessyndrom [Patient Experiences of Different Interventions in Chronic Fatigue Syndrome]. Tidsskrift for Den norske legeforening 2009; Volume 12 (129). ISSN 0029-2001. pp. 1214-1216. Halvorsen, Marianne; Wang, Catharina E.; Richter, Jörg; Myrland, Ine; Pedersen, Siv Kjersti; Eisemann, Martin; Waterloo, Knut. Early maladaptive schemas, temperament and character traits in clinically depressed and previously depressed subjects. Clinical Psychology and Psychotherapy 2009; Volume 16 (5). ISSN 1063-3995. pp. 394-407. doi: 10.1002/cpp.618. Lintvedt, Ove K; Sørensen, Kristian; Verplanken, Bas; Wang, Catharina E. The Need for Web-Based Cognitive Behavior Therapy Among University Students. Journal of Technology in Human Services 2008; Volume 26 (2). ISSN 1522-8835. pp. 239-258. doi: 10.1080/15228830802096705. Skre, Ingunn; Arnesen, Yngvild; Breivik, Camilla; Johnsen, Lars Inge; Verplanken, Bas; Wang, Catharina E. Mestring hos ungdom: Validering av en norsk oversettelse av Adolescent Coping Orientation for Problem Experiences [Mastery in Adolescents: Validation of a Norwegian Translation of the Adolescent Coping Orientation for Problem Experiences]. (full text) Tidsskrift for Norsk Psykologforening 2007; Volume 44 (3). ISSN 0332-6470. pp. 236-247. Wang, Catharina E.; Berge, Kjersti; Arnesen, Yngvild; Breivik, Camilla; Johnsen, Lars Inge; Bruun-Hansen, Trond; Jentoft, Greta; Skre, Ingunn. Psykhjelpen på Tvibit: En psykologisk rådgivningstjeneste på ungdommens kulturhus midt i Tromsø sentrum ["Psykhjelpen" at Tvibit: A Mental Health Counselling Service at the Youth Cultural Centre in Downtown Tromsø]. (full text) Tidsskrift for Norsk Psykologforening 2007; Volume 44 (3). ISSN 0332-6470. pp. 247-253. Verplanken, Bas; Friborg, Oddgeir; Wang, Catharina E.; Trafimow, David; Woolf, Kristin. Mental habits: Metacognitive reflection on negative self-thinking. Journal of Personality and Social Psychology 2007; Volume 92 (3). ISSN 0022-3514. pp. 526-541. doi: 10.1037/0022-3514.92.3.526. Træen, Bente; Wang, Catharina E. Perceived gender attribution, self-esteem, and general self-efficacy in female horseback riders. Journal of Equine Veterinary Science 2006; Volume 26 (10). ISSN 0737-0806. pp. 439-444. Wang, Catharina E.; Brennen, Tim; Holte, Arne. Decreased approach motivation in depression. Scandinavian Journal of Psychology 2006; Volume 47 (6). ISSN 0036-5564. pp. 505-511. Wang, Catharina; Brennen, Tim; Holte, Arne. Automatic and effortful processing of self-statements in depression. Cognitive Behaviour Therapy 2006; Volume 35 (2). ISSN 1650-6073. pp. 117-124. doi: 10.1080/16506070500466865. Wang, Catharina E.; Halvorsen, Marianne; Sundet, K; Steffensen, Anne Lise; Holte, Arne; Waterloo, Knut. Verbal memory performance of mildly to moderately depressed outpatient younger adults. Journal of Affective Disorders 2006; Volume 92. ISSN 0165-0327. pp. 283-286. Wang, Catharina E.; Brennen, Tim; Holte, Arne. Mechanisms of recurrent depression: A cognitive battle model and some preliminary results. Clinical Psychology and Psychotherapy 2005; Volume 12. ISSN 1063-3995. pp. 427-442. Hoffart, Asle; Sexton, Harold; Hedley, Liv Margaret; Wang, Catharina E.; Holthe, Harald; Haugum, Jon A; Nordahl, Hans Morten; Hovland, Ole Johan; Holte, Arne. The structure of maladaptive schemas: A confirmatory factor analysis and a psychometric evaluation of factor-derived scales. Cognitive Therapy and Research 2005; Volume 29 (6). ISSN 0147-5916. pp. 627-644. doi: 10.1007/s10608-005-9630-0. Hartmann, Ellen; Wang, Catharina E.; Berg, Marit; Sæther, Line. Depression and vulnerability as assessed by the Rorschach method. Journal of Personality Assessment 2003; Volume 3 (81). ISSN 0022-3891. pp. 242-255. Wang, Catharina E. Depressive lidelser - uttrykksformer og utbredelse [Depressive Disorders: Expressions and Incidence]. In: Mestring av depresjon. Veileder i forståelse og behandling av stemningslidelser [Mastery of Depression. Guidelines for Understanding and Treating Mood Disorders]. Tidsskrift for Norsk Psykologforening 2002. ISSN 0332-6470. Wang, Catharina E.; Holte, Arne. Kognitiv bearbeiding av positive og negative budskap blant tidligere deprimerte og ikke tidligere deprimerte personer [Cognitive Processing of Positive and Negative Messages among Previously Depressed and not Previously Depressed Individuals]. Tidsskrift for Norsk Psykologforening 1997 (34). ISSN 0332-6470. pp. 309-319. Wang, Catharina Elisabeth Arfwedson. Studie(u)vaner: Stressmestring, kognitive modeller og metoder [How (not) to Study: Stress Management, Cognitive Models and Methods] Public Health Week focusing on mental health and stress management. 2017-02-27 - 2017-02-27 2017. Wang, Catharina Elisabeth Arfwedson. Psykhjelpen, Blues Mothers & God start for små i nord: 14 års samarbeid mellom Institutt for psykologi og Tromsø kommune [Mental Health Help, Blues Mothers and A Good Start for Little Ones in the North: 14 Years of Cooperation between the Department of Psychology and Tromsø City Council]. Network seminar 2017 2017-11-15 - 2017-11-16 2017. Bohne, Agnes; Galaaen, Kari; Wang, Catharina Elisabeth Arfwedson. Psykhjelpen - et lavterskeltilbud [Mental Health Help: A Low Threshold Service]. Tidsskrift for helsesøstre 2017; Volume 03. pp. 50-52. Bohne, Agnes; Lindahl, Åsne; Nordahl, Dag; Ulvenes, Pål; Wang, Catharina Elisabeth Arfwedson; Pfuhl, Gerit. Kognitive forvrengninger i prosessering av spedbarns emosjonsuttrykk hos kvinner med alvorlig depresjon [Cognitive Distortions in the Processing of Infant Emotional Expressions in Women with Severe Depression]. Nordic Marcé Conference: För bättre perinatal psykisk hälsa [For Better Perinatal Health]. 2017-10-12 - 2017-10-13 2017. Wang, Catharina Elisabeth Arfwedson. Tipsene for å komme seg gjennom mørketiden [Tips on how to get through the dark winter]. 2017. Haugsdal, Lene; Eberhard-Gran, Malin; Wang, Catharina Elisabeth Arfwedson. Lene Haugsdal (39) var verdens lykkeligste under svangerskapet. Da hun ble mamma, ble alt mørkt [Lene Haugsdal (39) was the world’s happiest person during pregnancy. When she became a mother, everything turned black]. 2017. Haugsdal, Lene; Eberhard-Gran, Malin; Wang, Catharina Elisabeth Arfwedson. Hvert år blir ti - 15 prosent av nybakte mødre rammet: – Vær rask med å søke hjelp [Every year 10 to 15% of new mothers are affected: Don’t delay in getting help]. 2017. Bohne, Agnes; Landsem, Inger Pauline; Pfuhl, Gerit; Wang, Catharina Elisabeth Arfwedson. Hva prøver babyen å fortelle deg? [What’s your baby trying to tell you?]. 2017. Haugsdal, Lene; Wang, Catharina Elisabeth Arfwedson. Brukerperspektivet på depresjon etter fødsel [The User Perspective on Postnatal Depression]. Regional symposium for midwives in Tromsø 2017-10-17 - 2017-10-17 2017. Moldestad, Line; Wang, Catharina Elisabeth Arfwedson. Nye lavterskeltilbud: Psykhjelpen for de minste og Blues Mothers [New Low-Threshold Services: Mental Health Help for Young Children and Blues Mothers]. Network meeting: Infants and Young Children. North Norway Professional Network. 2017-10-10 - 2017-10-10 2017. Wang, Catharina Elisabeth Arfwedson. Ung og utenfor [The Young Outsider]. 2017. Bohne, Agnes; Wang, Catharina Elisabeth Arfwedson. Fra praksis: Psykhjelpen for de minste [From Practice: Mental Health Help for Young Children]. Tidsskrift for Norsk Psykologforening 2017; Volume 54 (8). ISSN 0332-6470. pp. 745-752. Bohne, Agnes; Pfuhl, Gerit; Wang, Catharina Elisabeth Arfwedson. Nedlatende av FHI [Patronising of the Norwegian Institute of Public Health]. Dagens medisin 2017; Volume 12. ISSN 1501-4290. Wang, Catharina Elisabeth Arfwedson. God start for Små i Nord (SiN) [A Good Start for Little Ones in the North]. Board Meeting of the Faculty of Health Sciences 2017-06-19 - 2017-06-19 2017. Haugsdal, Lene; Wang, Catharina Elisabeth Arfwedson. Psykhjelpen for de minste [Mental Health Help for Young Children]. Professional seminar for leaders of Tromsø City Council kindergartens 2017-06-26 - 2017-06-26 2017. Wang, Catharina Elisabeth Arfwedson. SiN Newsletter May 2017. 2017. Wang, Catharina Elisabeth Arfwedson. SiN Newsletter January 2017. 2017. Wang, Catharina Elisabeth Arfwedson. Psykhjelpen for de minste [Mental Health Help for Young Children]. May 2017. 2017. Wang, Catharina Elisabeth Arfwedson. Psykhjelpen for de minste [Mental Health Help for Young Children] Newsletter January 2017. 2017. Wang, Catharina Elisabeth Arfwedson. Parents’ mental health, challenges in the perinatal period. Collaboration meeting with Arkhangelsk 2017-05-31 - 2017-05-31 2017. Haugsdal, Lene; Wang, Catharina Elisabeth Arfwedson. Psykhjelpen for de minste [Mental Health Help for Young Children]. Professional meeting at the Women’s Clinic of the University Hospital of North Norway 2017-06-01 - 2017-06-01 2017. Haugsdal, Lene; Wang, Catharina Elisabeth Arfwedson. Psykhjelpen for de minste [Mental Health Help for Young Children]. Professional seminar for leaders of private kindergartens in Tromsø 2017-05-23 - 2017-05-23 2017. Bohne, Agnes; Pfuhl, Gerit; Wang, Catharina Elisabeth Arfwedson. Uansvarlig av FHI [Irresponsible of the Norwegian Institute of Public Health]. Dagens medisin 2017; Volume 08. ISSN 1501-4290. Haugsdal, Lene; Wang, Catharina Elisabeth Arfwedson. Blues Mothers har lansert nettside [Blues Mothers have launched a website]. 2017. Moldestad, Line; Haugsdal, Lene; Wang, Catharina Elisabeth Arfwedson. Nytt nettsted på plass for å hjelpe mødre med fødselsdepresjon [New website in place to help mothers with postnatal depression]. 2017. Moldestad, Line; Wang, Catharina Elisabeth Arfwedson. Blues Mothers. For fagfolk som hjelper nedstemte spedbarnsmødre [For professionals helping depressed mothers of infants]. 2017. Wang, Catharina Elisabeth Arfwedson. Pårørende: Når man har det tungt kan det være vanskelig å innse at man er syk og trenger hjelp. Det er viktig å stille opp for nære som sliter psykisk [Family members: When things are tough, it may be difficult to realize that you’re ill and need help. It’s important to look after a family member with mental health problems]. 2017. Bohne, Agnes; Høifødt, Ragnhild Sørensen; Nordahl, Dag; Wang, Catharina Elisabeth Arfwedson. God start for Små i Nord - og deres foreldre [A Good Start for Little Ones in the North - and their Parents]. The newspaper Nordlys 2017. Wang, Catharina Elisabeth Arfwedson. Angst og depresjon. Kvinner opplever et høyt press med mange uforenlige krav. Ekspertene tror kravene i samfunnet og sosiale medier er blant årsakene som gjør at stadig flere unge kvinner rammes [Anxiety and depression. Women experience great pressure with many incompatible demands. Experts believe the demands of society and social media among the reasons why more and more young women are affected]. 2017. Wang, Catharina Elisabeth Arfwedson. Er du en av dem som utsetter arbeidsoppgavene? Slik setter du en stopper for det [Are you one of those people who keep putting off things at work? Here’s how to stop]. 2017. Wang, Catharina Elisabeth Arfwedson. Familien må kunne gå på tur uten at det skal være trening eller mentalt styrkende for barna. Ikke gjør hele familielivet til et pedagogisk prosjekt, advarer psykolog [Families must be able to go for a walk without it being mainly physical or mental exercise for the children. Don’t turn your whole family life into an educational project, warns a psychologist]. 2016. Wang, Catharina Elisabeth Arfwedson. SiN Newsletter September 2016. 2016. Wang, Catharina Elisabeth Arfwedson. SiN Newsletter May 2016. 2016. Wang, Catharina Elisabeth Arfwedson. SiN Newsletter January 2016. 2016. Wang, Catharina Elisabeth Arfwedson. Psykhjelpen for de minste [Mental Health Help for Young Children] Newsletter September 2016. 2016. Wang, Catharina Elisabeth Arfwedson. Psykhjelpen for de minste [Mental Health Help for Young Children] Newsletter May 2016. 2016. Wang, Catharina Elisabeth Arfwedson. Psykhjelpen for de minste [Mental Health Help for Young Children] Newsletter February 2016. 2016. Wang, Catharina Elisabeth Arfwedson. Studie(u)vaner: Stressmestring, kognitive modeller og metoder [How (not) to Study: Stress Management, Cognitive Models and Methods]. Internal seminar for student counsellors at UiT The Arctic University of Norway 2016-04-24 - 2016-04-24 2016. Wang, Catharina Elisabeth Arfwedson; Haugsdal, Lene; Rørvik, Aud. Psykhjelpen for de minste [Mental Health Help for Young Children]. Professional meeting, Adult Mental Health Services, University Hospital of North Norway 2016-09-14 - 2016-09-14 2016. Høifødt, Ragnhild Sørensen; Nordahl, Dag; Wang, Catharina Elisabeth Arfwedson. Slik vil de skape en bedre start for babyer og foreldre [The Way to Create a Better Start for Babies and their Parents]. 2016. Wang, Catharina Elisabeth Arfwedson. Fant ikke pappalykken [He couldn’t find the joy of fatherhood]. 2016. Wang, Catharina Elisabeth Arfwedson. Fødselsdepresjon. Når babylykken uteblir [Postnatal depression. When the baby doesn’t bring happiness]. 2016. Wang, Catharina Elisabeth Arfwedson. Frykter barnedødsfall på grunn av jordmormangelen i Tromsø [Fears of infant deaths due to the shortage of midwives in Tromsø]. 2016. Wang, Catharina Elisabeth Arfwedson. Jordmormangel kan sette babyers helse i fare [The shortage of midwives may endanger the health of babies]. 2016. Wang, Catharina Elisabeth Arfwedson. Blir deprimerte av kjærlighetssorg [Getting depressed from a broken heart]. 2016. Wang, Catharina Elisabeth Arfwedson. Hvilke etiske overtramp forekommer i ditt fagfelt? [What ethical violations occur in your field?]. 2016. Wang, Catharina Elisabeth Arfwedson. Psykhjelpen for de minste som en tidsriktig og fremtidsrettet praksisarena for studenter [Mental Health Help for Young Children as a Timely and Future-Oriented Field of Practice for Students]. Joint seminar for the management of the University of Northern Norway and the Faculty of Health Sciences at UiT The Arctic University of Norway 2016-04-28 - 2016-04-28 2016. Wang, Catharina Elisabeth Arfwedson. Hva virker i psykoterapi? [What works in psychotherapy?]. Tidsskrift for kognitiv terapi 2016. ISSN 1504-3142. pp. 20-25. Wang, Catharina Elisabeth Arfwedson. Kan bli syke av å bli voksne [They can get ill from growing into adults]. 2016. Wang, Catharina Elisabeth Arfwedson; Wang-Iversen, Henrik August Stadt. Tre generasjoner psykologer i Nord-Norge [Three Generations of Psychologists in Northern Norway]. The 25th anniversary of Professional Studies in Psychology 2016-04-08 - 2016-04-08 2016. Skre, Ingunn; Bjerkan, Bertil; Wang, Catharina Elisabeth Arfwedson. 25 år med dette studiet har gitt landsdelen 450 nye psykologer [25 years of this course of study have given the region 450 new psychologists]. 2016. Wang, Catharina Elisabeth Arfwedson. Interview in NRK local programme for Troms about the TV series "Jeg mot meg" [Me against Myself]. 2016. Wang, Catharina Elisabeth Arfwedson. Tegnene på at du er deprimert [The signs that you’re depressed]. 2016. Wang, Catharina Elisabeth Arfwedson. Når den lykkeligste tiden blir vond og vanskelig [When the happiest time turns sour and difficult]. 2016. Wang, Catharina Elisabeth Arfwedson. Friluftsgeneral: – Ikke stress i påska [Outdoor life leader: “Don’t get stressed at Easter”]. 2016. Wang, Catharina Elisabeth Arfwedson. Symptomer på angst og depresjon er normalt å ha. Professor: - Psykisk sykdom er like vanlig som fysisk sykdom [It’s normal to have symptoms of anxiety and depression. Professor: “Mental illness is as common as physical illness”]. 2016. Wang, Catharina Elisabeth Arfwedson. Kritisk for barn av deprimerte mødre: Må få hjelp straks [Critical for children of depressed mothers: They need urgent help]. 2015. Galaaen, Kari; Wang, Catharina Elisabeth Arfwedson. Slik takler du hevnlysten [How to tackle your thirst for revenge]. 2015. Wang, Catharina Elisabeth Arfwedson. Avliver baby-myter [Busting myths about babies]. 2015. Wang, Catharina Elisabeth Arfwedson. Manglende støtte kan gi fødselsdepresjon [Lack of support can cause postnatal depression]. 2015. Wang, Catharina Elisabeth Arfwedson. Psykhjelpen for de minste [Mental Health Help for Young Children]. 2015. Wang, Catharina Elisabeth Arfwedson. Slik unngår du høstdepresjonen [How to avoid autumn depression]. 2015. Wang, Catharina Elisabeth Arfwedson. God start for små i nord og Psykhjelpen for de minste [A Good Start for Little Ones in the North and Mental Health Help for Young Children]. Working seminar 2015-10-02 - 2015-10-02 2015. Wang, Catharina Elisabeth Arfwedson. Psykisk helse i spedbarnsalderen - et forskningsprosjekt, et samhandlingsprosjekt og en ny fremtidsrettet praksisarena [Mental health in infants: A research project, a collaborative project and a new future-oriented field of practice]. Internal seminar 2015-10-09 - 2015-10-09 2015. Wang, Catharina Elisabeth Arfwedson. Psykhjelpen for de minste og god start for små i nord [Mental Health Help for Young Children and A Good Start for Little Ones in the North]. Hvis [P2] October 2015-10-23 - 2015. Wang, Catharina Elisabeth Arfwedson. Psykhjelpen for de minste og god start for små i nord [Mental Health Help for Young Children and A Good Start for Little Ones in the North]. Hvit October 2015-10-14 - 2015-10-14 2015. Wang, Catharina Elisabeth Arfwedson. Babybonding - psykisk helse i forbindelse med svangerskap og fødsel [Baby bonding - mental health in relation to pregnancy and childbirth]. Friday Meeting 2015-08-28 - 2015-08-28 2015. Wang, Catharina Elisabeth Arfwedson. Psykhjelpen for de minste og god start for små i nord [Mental Health Help for Young Children and A Good Start for Little Ones in the North]. Friday Meeting 2015-08-28 - 2015-08-28 2015. Pfuhl, Gerit; Nordahl, Dag; Bohne, Agnes; Lindahl, Åsne; Wang, Catharina Elisabeth Arfwedson. The Tromsø Infant faces (TIF) database. Snakk med en forsker [Talk to a Researcher] 2015-09-24 - 2015-09-24 2015. Nordahl, Dag; Høifødt, Ragnhild Sørensen; Thimm, Jens; Ilstad, Linn Kathrin K.; Landsem, Inger Pauline; Pfuhl, Gerit; Wang, Catharina Elisabeth Arfwedson. Små i Nord: En studie av prediktorer for postpartum depresjon og samspillsvansker med barnet [Young Children in the North: A Study of Predictors of Postpartum Depression and Difficulties in Interaction with the Child]. A collaboration project with Liten i Norge [Little in Norway]. Snakk med en forsker [Talk to a Researcher] 2015-09-24 - 2015-09-24 2015. Nordahl, Dag; Høifødt, Ragnhild Sørensen; Thimm, Jens; Ilstad, Linn Kathrin K.; Landsem, Inger Pauline; Pfuhl, Gerit; Wang, Catharina Elisabeth Arfwedson. Små i Nord: En studie av prediktorer for postpartum depresjon og sampillsvansker med barnet [Young Children in the North: A Study of Predictors of Postpartum Depression and Difficulties in Interaction with the Child]. A collaboration project with Liten i Norge [Little in Norway]. Nordic Marcé Conference: Psykisk helse i perinatalperioden - fokus på mor, far og barn [Mental Health in the Perinatal Period: Focus on Mother, Father and Child]. 2015-09-07 - 2015-09-08 2015. Wang, Catharina Elisabeth Arfwedson. Jeg levde det perfekte "Facebooklivet" [I lived the perfect “Facebook life”]. 2015. Wang, Catharina Elisabeth Arfwedson. Fødselsdepresjon: Stine Marie skjulte for alle hvordan hun egentlig hadde det [Postpartum depression: Stine Marie hid from everyone how she really felt]. 2015. Kvamme, Maria Fredriksen; Risør, Mette Bech; Wang, Catharina Elisabeth Arfwedson; Østbye, Silje Vagli. Vil ha ungdommenes historier [We Want the Adolescents’ Stories]. 2015. Wang, Catharina Elisabeth Arfwedson. Behandlingstilnærming ved CFS/ME med vekt på kognitiv terapi [A Treatment Approach for CFS/ME with an Emphasis on Cognitive Therapy]. Internal teaching for physiotherapists in the University Hospital of Northern Norway 2015-02-10 - 2015. Wang, Catharina Elisabeth Arfwedson. Traumeerfaringer og somatiske og psykiske helseplager [Trauma Experiences and Physical and Mental Health Problems]. Lecture on a sub-project for researchers in the Tromsø Study 2015-03-10 - 2015. Wang, Catharina Elisabeth Arfwedson. Babybonding - psykisk helse i forbindelse med svangerskap og fødsel [Baby bonding - mental health in relation to pregnancy and childbirth]. The Saturday University 2015-03-21 - 2015-03-21 2015. Wang, Catharina Elisabeth Arfwedson; Nordahl, Dag; Landsem, Inger Pauline. Vil hjelpe mødre rammet av fødselsdepresjon [Help for Mothers with Postnatal Depression]. 2015. Wang, Catharina Elisabeth Arfwedson. Tør å ta opp tabuer [Daring to talk about taboos]. 2015. Halvorsen, Marianne; Waterloo, Knut; Eisemann, Martin; Wang, Catharina Elisabeth Arfwedson. Kognitiv funksjon ved unipolar depresjon [Cognitive Functioning in Unipolar Depression]. Research Council of Norway 2015-02-02 - 2015-02-04 2015. Fredriksen, Trine; Gurandsrud, Elise; Siebler, Frank; Wang, Catharina Elisabeth Arfwedson. Når massemedia slår DSM-V: Lekfolks beslutninger omkring kliniske lidelser [When the mass media beat DSM-V: What the layman decides about clinical disorders]. (full text) 2014. Wang, Catharina Elisabeth Arfwedson. Kommunikasjonsutfordringer i forståelse og behandling av medisinsk uforklarte fysiske symptomer (MUPS): En kvalitativ studie av ungdommers møte med helsevesenet [Communication Challenges in the Understanding and Treatment of Medically Unexplained Physical Symptoms (MUPS): A Qualitative Study of Young People’s Encounter with Healthcare Services] (2014 - 2017). CFS/ME regional network conference 2014-11-12 - 2014-11-13 2014. Wang, Catharina Elisabeth Arfwedson. Biopsykososialt konsultasjonsteam: Mulige forskningsprosjekter? [Biopsychosocial consultation teams: Possible research projects?]. Meeting of the Biopsychosocial Consultation Team Working Group 2014-12-18 - 2014-12-18 2014. Wang, Catharina Elisabeth Arfwedson. Psykisk helse i forbindelse med svangerskap og fødsel: Et forskningsprosjekt, et samhandlingsprosjekt og en fremtidsrettet læringsarena [Mental Health in Pregnancy and after Childbirth: A research project, a collaborative project and a new future-oriented learning arena]. Wednesday Meeting, University Hospital of Northern Norway 2014-12-03 - 2014-12-03 2014. Wang, Catharina Elisabeth Arfwedson. Depresjon i forbindelse med svangerskap og fødsel. Hvordan ivareta foreldre og fremme god tilknytning til barnet? [Depression in pregnancy and after childbirth. How can we care for the parents and enhance their contact with the child?]. National network seminar for the Two Fields of Expertise in Psychology Project 2014-11-20 - 2014-11-21 2014. Wang, Catharina Elisabeth Arfwedson. Fødselsdepresjoner kan skade babyens utvikling [Postnatal depression may harm your baby’s development]. 2014. Wang, Catharina Elisabeth Arfwedson. Barn spør forskere [Children ask researchers]. 2014. Wang, Catharina Elisabeth Arfwedson. Fødselsdepresjoner kan være uheldig for babyens utvikling [Postnatal depression may hinder your baby’s development]. 2014. Wang, Catharina E. En innføring i kognitiv terapi [An Introduction to Cognitive Therapy]. Seminar for the peripatetic rehabilitation service in Northern Norway 2014-10-03 - 2014-10-03 2014. Wang, Catharina E. Traumeerfaringer og somatiske og psykiske helseplager [Trauma Experiences and Physical and Mental Health Problems]. Meeting of the Steering Committee of the Tromsø Study 7 2014-09-30 - 2014-09-30 2014. Wang, Catharina E. Traumeerfaringer og somatiske og psykiske helseplager [Trauma Experiences and Physical and Mental Health Problems]. Research Days: Jubilee lecture for the 40th anniversary of the Tromsø Study 2014-09-26 - 2014-09-26 2014. Wang, Catharina E. Traumeerfaringer og somatiske og psykiske helseplager [Trauma Experiences and Physical and Mental Health Problems]. Wednesday seminar in the Department of Community Medicine 2014-09-24 - 2014-09-24 2014. Halvorsen, Marianne; Hagen, Roger; Hjemdal, Odin; Waterloo, Knut; Eisemann, Martin; Wang, Catharina E. Metacognitions and Thought Control Strategies in Unipolar Major Depression: A Comparison of Currently Depressed, Previously Depressed, and Never-Depressed Individuals. Congress of the European Association for Behavioural & Cognitive Therapies 2014-09-10 - 2014-09-13 2014. Moldestad, Line; Wallan, Solveig; Wang, Catharina E. Blues Mothers - En mestringsgruppe for nedstemte mødre. Fokus på psykisk helsehjelp i kommunehelsetjenesten til gravide og barselfamilier. Forskning, erfaringer og gode eksempler [Blues Mothers - A Mastery Group for Depressed Mothers. Focus on Municipal Mental Health Care for Women in Pregnancy and the Postnatal Period. Research, Experience and Good Examples]. 2014-08-29 - 2014-08-29 2014. Wang, Catharina E. Det vi kaller normalt, er blitt veldig smalt [What we call normal has become very narrow]. 2014. Wang, Catharina E. Forventninger og krav blir for mye [Expectations and demands get to be too much]. 2014. Wang, Catharina E. Fra hestejente til professor i klinisk psykologi [From stable girl to professor of clinical psychology]. Normood meeting 3-4 February 2014 2014-02-03 - 2014-02-04 2014. Wang, Catharina E.; Hope, Siren; Waage, Trond; Risør, Mette Bech. Filmer seg ut av ungdomsproblemer [Filming themselves out of youth problems]. 2014. Wang, Catharina E.; Hope, Siren; Waage, Trond; Risør, Mette Bech. Filmer seg ut av ungdomsproblemene [Filming themselves out of their youth problems]. 2014. Wang, Catharina E. Nybakt mamma og deppa [New mother and depressed]. 2014. Svartdal, Frode; Dahl, Tove Irene; Wang, Catharina E. Du blir syk av å utsette [You get ill from postponing things]. (full text) The newspaper Nordlys 2013. Hope, Siren; Wang, Catharina E.; Wright, Reni Jasinski; Waage, Trond. Meg. Ungdom skaper seg selv ved å filme seg selv for å finne seg selv. I Kamerun, Afghanistan og Norge [Me. Young people create themselves by filming themselves to find themselves. In Cameroon, Afghanistan and Norway]. 2013. Wang, Catharina E. Værsjuk. Livet blir ikke bedre av godt vær [Weather sickness. Life doesn’t get better when the sun shines]. VG Helg 2013.s 70 - 71. Svartdal, Frode; Wang, Catharina E.; Dahl, Tove Irene. Derfor blir vi syke når vi utsetter ting [Why we get ill when we postpone things]. (full text) 2013. Wang, Catharina E. Én av tre tenåringer er kronisk stressa [One out of three teenagers has chronic stress]. 2013. Wang, Catharina E.; Nordahl, Hans Morten. Nye utfordringer for psykologer i arbeid med depresjon? [New Challenges for Psychologists Working with Depression?]. Tidsskrift for Norsk Psykologforening 2012; Volume 49 (1). ISSN 0332-6470. pp. 2-3. Wang, Catharina E. CBT: Agenda. Struktur. Kognitive diamant. NAT. Skjemaer/Leveregler [CBT: Agenda. Structure. Cognitive Diamond. NAT. Schemas/Rules for Living]. Internal seminar in the Department of Physical Medicine of the University Hospital of Northern Norway 2012-11-14 - 2012-11-14 2012. Wang, Catharina E. CBT: Overordnende prinsipper/ grunnfilosofi. Indikasjon. Egnede diagnosegrupper [CBT: Basic Principles/Philosophy. Indication. Suitable Diagnostic Groups]. Internal seminar in the Department of Physical Medicine of the University Hospital of Northern Norway 2012-10-10 - 2012-10-10 2012. Wang, Catharina E. Psykologer må inn i samfunnsdebatten [Psychologists must join the public debate]. 2012. Wang, Catharina E. Har samfunnet skylda? [Is society to blame?]. 2012. Nordahl, Hans Morten; Martinsen, Egil Wilhelm; Wang, Catharina E. Hva er fakta om psykodynamisk terapi? [What are the Facts about Psychodynamic Therapy?]. Tidsskrift for Norsk Psykologforening 2012; Volume 49 (4). ISSN 0332-6470. pp. 396-398. Wang, Catharina E. Psykisk helse og depresjon [Mental Health and Depression]. Internal teaching, Child Rehabilitation, University Hospital of Northern Norway 2012-01-20 - 2012-01-20 2012. Wang, Catharina E. Behandlingstilnærming ved CFS/ME - med vekt på kognitiv terapi [A Treatment Approach for CFS/ME with an Emphasis on Cognitive Therapy]. Internal teaching in the Department of Therapeutics of the University Hospital of Northern Norway 2011-12-07 - 2011-12-07 2011. Wang, Catharina E. Nevropsykologisk utredning [Neuropsychological Investigations]. Internal seminar in the Department of Occupational and Environmental Medicine of the University Hospital of Northern Norway 2011-05-19 - 2011-05-19 2011. Wang, Catharina E. Nevropsykologisk utredning [Neuropsychological Investigations]. Internal teaching in the Department of Neurology of the University Hospital of Northern Norway 2011-05-24 - 2011-05-24 2011. Halvorsen, Marianne; Wang, Catharina E.; Sundet, Kjetil S.; Eisemann, Martin; Waterloo, Knut. Verbal learning and memory in depression: A 9-year follow-up study. Congress of European Association for Behavioural & Cognitive Therapies 2010-10-07 - 2010-10-10 2010. Wang, Catharina E. Regional conference in Northern Norway on CFS/ME. 2010. Wang, Catharina E. Concluding lecture. Regional conference in Northern Norway on CFS/ME 2010-10-04 - 2010-10-05 2010. Wang, Catharina E. “Mål og prosesser i arbeidet med nasjonale retningslinjer for depresjonsbehandling” [Goals and Processes in Work on National Guidelines for Treatment of Depression]. Psychiatry in the North 2010: “Nedførr og utaførr” [Depressed and Outside] 2010-06-02 - 2010-06-04 2010. Skre, Ingunn; Wang, Catharina E.; Breivik, Camilla; Johnsen, Lars Inge; Arnesen, Yngvild; Lindekleiv, Ragnhild Elise Magnus. “Can mental health literacy in adolescents be improved by a school intervention?” Research conference, Health Services for Northern Norway 2009. (summary) 2009-03-25 - 2009-03-26 2009. Skre, Ingunn; Wang, Catharina E. Sluttrapport til Helse og rehabilitering: “Psykhjelpen” Forebyggingsprosjekt [Final Report to the Foundation Health and Rehabilitation: “Mental Health Help”, a Prevention Project] 2004/1/0621. 2009. Berge, Torkil; Berge, Magnhild; Gudim, Hilde Beate; Hortemo, Sigurd; Malt, Ulrik Fredrik; Nordahl, Hans M; Smeby, Nina Aarhus; Stubben, Knut; Wang, Catharina E.; Aarre, Trond F. Nasjonale retningslinjer for diagnostisering og behandling av voksne med depresjon i primær- og spesialisthelsetjenesten [National Guidelines for Diagnosis and Treatment of Adult Depression in Primary and Specialist Health Services]. 2009 ISBN 978-82-8081-184-4. Wang, Catharina E. “Føringer og utfordringer i arbeidsprosessen med Nasjonale retningslinjer for diagnostisering og behandling av voksne med depresjon i primær- og spesialisthelsetjenesten” [Recommendations and Challenges in the Work on National Guidelines for Diagnosis and Treatment of Adult Depression in Primary and Specialist Health Services]. Literature meeting for the physicians in the Psychiatric Department, Åsgård, University Hospital of Northern Norway 2009-10-06 - 2009-10-06 2009. Wang, Catharina E. “Depresjon og kognitiv sårbarhet: dysfunksjonelle holdninger og tidlige mistilpasningsskjema” [Depression and Cognitive Vulnerability: Dysfunctional Attitudes and Early Maladaptive Schemas]. Further education in job mastery follow-up care 2009-09-02 - 2009-09-02 2009. Wang, Catharina E. Depresjonsmålinger [Measuring Depression]. Professional seminar at the Clinical Research Centre 2009-06-05 - 2009-06-05 2009. Lindekleiv, Ragnhild E Magnus; Skre, Ingunn; Wang, Catharina E. Gender differences in how adolescents benefit from a mental health promotion program. OSSD 2nd annual conference 2008-06-04 - 2008-06-06 2008. Wang, Catharina E.; Skre, Ingunn; Lindekleiv, Ragnhild Elise Magnus. Alle har en psykisk helse: Oppsummering etter en treårig effektevaluering gjennomført av Institutt for psykologi ved Universitet i Tromsø [Everyone has a mental health: Summary after a three-year impact assessment conducted by the Department of Psychology at Tromsø University]. 2008. Wang, Catharina E. Samler krefter om ME [Gathering Forces to Help ME Sufferers]. 2008. Wang, Catharina E.; Lindekleiv, Ragnhild Elise Magnus; Skre, Ingunn. “Prosjektarbeid i 8., 9. og 10. klasse. Effektevaluering over tre år” [Project Work in the 8th, 9th and 10th Grades. Outcome Assessment over Three Years]. Internal teaching 2008-05-05 - 2008-05-05 2008. Hartmann, Ellen; Halvorsen, Marianne; Wang, Catharina E. Depresjon og sårbarhet: En oppfølging etter 8-9 år [Depression and Vulnerability: A Follow-up Study after 8 to 9 Years]. Jubilee Seminar of the Psychiatric Research Centre of Northern Norway (NNPF), Health Services for Northern Norway 2008-11-05 - 2008. Wang, Catharina E. “Hvordan kan negative holdninger, tanker og følelser overføres fra foreldre til barn? Forståelse og behandling av depresjon hos mor” [How can negative attitudes, thoughts and feelings be transferred from parent to child? Understanding and treatment of depression in mothers]. Experiential Conference in Tromsø focusing on mental health in pregnancy and childbirth 2008-09-03 - 2008-09-03 2008. Lintvedt, Ove K; Wang, Catharina E.; Waterloo, Knut; Eisemann, Martin. Forebygging og behandling av depresjon via Internett [Prevention and Treatment of Depression via the Internet]. Mental Health Week 2008 2008-01-14 - 2008-01-18 2008. Wang, Catharina E.; Halvorsen, Marianne; Eisemann, Martin; Waterloo, Knut. Stability and associations between dysfunctional attitudes and early maladaptive schemas: Results from a cross-sectional and a nine-year longitudinal study. Jubilee Seminar of the Psychiatric Research Centre of Northern Norway (NNPF) 2008-11-05 - 2008. Halvorsen, Marianne; Wang, Catharina E.; Eisemann, Martin; Waterloo, Knut. Dysfunctional attitudes and early maladaptive schemas as predictors of depression severity: A cross-sectional and a nine-year longitudinal study. Jubilee Seminar of the Psychiatric Research Centre of Northern Norway (NNPF), Health Services for Northern Norway 2008-11-05 - 2008. Lintvedt, Ove Kåre Kumetz; Waterloo, Knut; Wang, Catharina E. BlueMood - Forebygging og behandling av depresjon på Internett [BlueMood: Prevention and Treatment of Depression on the Internet]. Telemedicine Conference for Health Services in Southern Norway 2007-02-12 - 2007-02-14 2007. Skre, Ingunn; Wang, Catharina E. Hjelp der nøden er størst: Nye arenaer for tidlig intervensjon og psykologisk rådgivning [Help Where the Need is Greatest: New Arenas for Early Intervention and Psychological Counselling]. Tidsskrift for Norsk Psykologforening 2007; Volume 44 (3). ISSN 0332-6470. pp. 234-235. Sørensen, Kristian; Østvik, Andreas Raae; Lintvedt, Ove K; Gammon, Deede; Wang, Catharina E. PS-portalen: Forebygging av psykisk helse blant studenter ved hjelp av et lavterskeltilbud på Internett [The PsychoSocial Portal: Prevention of Mental Health Problems among Students Using a Low-Threshold Internet Service]. (full text) Tidsskrift for Norsk Psykologforening 2007 (44). ISSN 0332-6470. pp. 265-268. Wang, Catharina E.; Holte, Arne. Søvnløshet kan hjelpe deprimerte [Insomnia can help Depression]. 2007. Wang, Catharina E.; Jentoft, Greta; Hveem, Kari. Tvibit tar ungdom på alvor [Tvibit Takes Adolescents Seriously]. 2007. Wang, Catharina E. La lykken gro [Let Happiness Grow]. 2007. Wang, Catharina E. Kritiserer seg selv og ødelegger selvbildet [Criticizing Oneself and Destroying One’s Self-Image]. 2007. Wang, Catharina E. Depression and cognitive vulnerability. Conference on Psychiatric Research in the North 2007-09-05 - 2007-09-07 2007. Skre, Ingunn; Wang, Catharina E. “Mental Health Concerns Everyone”: Challenges in prevention of mental health problems in adolescents. Introduction to workshop, ESCAP, “Bridging the Gaps”. Florence, August 2007 2007-08-25 - 2007-08-29 2007. Wang, Catharina E. Depresjon og kognitiv sårbarhet [Depression and Cognitive Vulnerability]. Åsgård Lecture 2007-05-24 - 2007-05-24 2007. Johnsen, Lars Inge; Breivik, Camilla; Arnesen, Yngvild; Wang, Catharina E.; Skre, Ingunn. “Mental Health Concerns Everyone”, Part 1: Knowledge and Coping in Adolescents after a School Intervention. European Society for Child and Adolescent Psychiatry (ESCAP) XIII International Conference 2007-08-25 - 2007-08-29 2007. Wang, Catharina E. Alle har en psykisk helse: Effektevaluering av en tredelt undervisningspakke for ungdomskoletrinnet. Første del [Everyone has a mental health: Effect evaluation of a three-point teaching package for the upper secondary school. Part one]. Working group for mental health in schools, Directorate for Health and Social Affairs. 2006-01-25 - 2006-01-25 2006. Wang, Catharina E. Risikabelt å fortrenge depresjon [Risky to Suppress Depression]. Psykisk helse1502-9204 2006 (5). p. 5. Wang, Catharina E. Evaluering av psykisk helse i skolen [Evaluation of Mental Health in Schools]. Psykisk [Mental Health], Newsletter from the Directorate for Health and Social Affairs 2006 (2). p. 6. Wang, Catharina E. Depression and cognitive vulnerability. 2006. Wang, Catharina E. Slik smittes du av humøret. Et smil betyr mye mer enn du tror [How your mood rubs off on you. A smile means much more than you think]. 2006. Wang, Catharina E. Pasientens beste venn. Unikt samspill og terapi [The patient’s best friend. Unique interaction and therapy]. 2006. Halvorsen, Marianne; Wang, Catharina E.; Waterloo, Knut. Forsker på tilbakevendende depresjon [Research into recurrent depression]. 2006. Wang, Catharina E. Doktoren svarer [The doctor answers]. 2006. Wang, Catharina E. Bruk av hest i psykiatrien [Using horses in psychiatry]. 2006. Halvorsen, Marianne; Wang, Catharina E.; Waterloo, Knut; Eisemann, Martin; Laeng, Bruno; Verplanken, Bas. Depresjon og sårbarhets-prosjektet: Kognitiv unngåelse som sårbarhetsfaktor for tilbakevendende depresjon [The Depression and Vulnerability Project: Cognitive Avoidance as a Vulnerability Factor for Recurrent Depression]. The Øyer Conference 2006-02-13 - 2006-02-15 2006. Lintvedt, Ove K; Sørensen, Kristian; Østvik, Andreas; Christensen, Helen; Griffiths, Kathleen; Verplanken, Bas; Waterloo, Knut; Wang, Catharina E. The Norwegian version of MoodGYM: Assessing need for and validating the effect of an Internet based intervention program preventing depression. 36th Annual Congress of the European Association for Behavioural and Cognitive Therapies 2006-09-20 - 2006-09-23 2006. Wang, Catharina E.; Jentoft, Greta; Breivik, Camilla. Psykhjelpen på Tvibit: Psykologisk rådgivning på helsestasjon for ungdom [Mental health help at Tvibit. Psychological counselling at the youth clinic] Prevention conference 2005-01-24 - 2005-01-25 2005. Wang, Catharina E. Martin Seligman kommer til Oslo [Martin Seligman comes to Oslo]. Tidsskrift for Norsk Psykologforening 2005; Volume 42. ISSN 0332-6470. pp. 646-647. 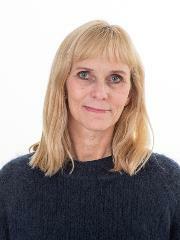 Wang, Catharina E. Puls: Psykhjelpen på Tvibit [Pulse: Mental health help at Tvibit]. 2005. Wang, Catharina E. Trenger lykkepillen [Needing the happy pill]. 2005. Wang, Catharina E. Sliter med depresjon [Struggling with depression]. 2005. Wang, Catharina E. Åpner PsykoSosial portal [Opening the PsychoSocial portal]. 2005. Wang, Catharina E.; Lintvedt, Ove K; Sørensen, Kristian; Østvik, Andreas. Luft vettet i eksamensmaset. Gir hjelp på nettet [Air your mind in exam stress. Online help] 2005. Wang, Catharina E. Ung og psyk [Young and Psick]. 2005. Arnesen, Yngvild; Breivik, Camilla; Johnsen, Lars Inge; Skre, Ingunn; Wang, Catharina E. Psykisk suksess [Mental Success]. 2005. Lintvedt, Ove K; Sørensen, Kristian; Østvik, Andreas; Waterloo, Knut; Wang, Catharina E. Lanserer nettportal for psykisk helse [Launching a web portal for mental health]. 2005. Wang, Catharina E. Én av fire skolejenter deprimerte [One in four shoolgirls is depressed]. 2005. Lintvedt, Ove K; Sørensen, Kristian; Østvik, Andreas; Waterloo, Knut; Wang, Catharina E. Internettbasert Psykologisk Rådgivning for studenter [Internet-based Mental Health Counselling for Students]. Student Health Conference 2005 2005-09-23 - 2005-09-23 2005. Wang, Catharina E.; Jentoft, Greta; Johnsen, Lars Inge. Psykhjelpen på Tvibit [Mental Health Help at Tvibit]. Regional conference of Child and Adolescent Psychiatry Northern Norway 2005-10-06 - 2005-10-07 2005. Wang, Catharina E. Spiser minst lykkepiller [They take the fewest happy pills]. 2004. Wang, Catharina E.; Skre, Ingunn; Jentoft, Greta; Bruun-Hanssen, Trond; Breivik, Camilla; Arnesen, Yngvild; Johnsen, Lars Inge; Olsen, Randi Elisabeth. Åpen dør til psykologen. Unikt tilbud til ungdom på Tvibit i Tromsø [An open door to the psychologist. A unique service for young people at Tvibit in Tromsø]. 2004. Wang, Catharina E.; Larsen, Cecilie; Knut, Schreuder; Anita, Dijkhuizen; Ellen, Sverdrup. Hjerterom i stallen [A heart in the stable]. 2004. Nivison, Mary; Wang, Catharina E.; Skre, Ingunn; Martinussen, Monica. Mer åpenhet om psykiske lidelser. Hjerterom på universitetet [More openness about mental disorders. A heart at the university]. 2004. Wang, Catharina E. Depresjon - den nye folkesykdommen [Depression: The New Public Health Issue]. 2004. Wang, Catharina E. Den nye folkesykdommen [The New Public Health Issue]. 2004. Wang, Catharina E. Redusert bruk av antidepressiva i Finnmark [Reduced Use of Antidepressants in Finnmark]. 2004. Skarsvåg, Hedvig; Wang, Catharina E. Mange studenter søker ikke hjelp [Many students don’t seek help]. 2004. Wang, Catharina E.; Brennen, Tim; Holte, Arne. Positivity bias or avoidant coping strategies in previously depressed individuals? 18th World Congress of Psychotherapy 2002-08-14 - 2002-08-18 2002. Hartmann, Ellen; Wang, Catharina E. Cognition, vulnerability and depression as assessed by the Rorschach and Beck Depression Inventory. 18th World Congress of Psychotherapy 2002-08-14 - 2002-08-18 2002.